Kenneth Ducane is the head of the British Secret Service. At least he is the leader of a major department. The series never quite clarifies that but leaves no doubt that it is Ducane who decides which agent goes on which assignment. 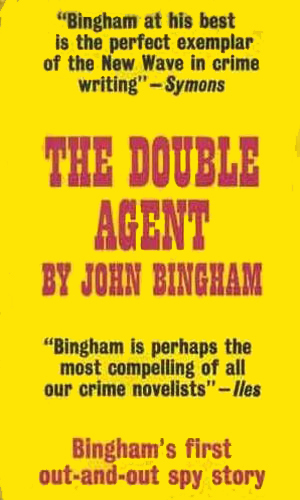 And on which double-agent or enemy agent never makes it home. He is described uncharitably as "a very ugly man, of medium height, aged about fifty." The description goes to state his mouth too wide, lips too thin, nose a snub one with too wide of nostrils, and a shallow complexion that extends to his eyes. The general effect was frog-like. Indeed, he even has been nicknamed Froggie which his lack of vanity keeps him from resenting. But he is a frog with a good brain, very cool, very clear. As the spymaster in the series, Ducane does not officially operate in the field any more, though he had done so for many years in the past. He dispatches operatives and then receives information back. He is shown to be fairly compassionate but still hard enough to send men to possibly die. 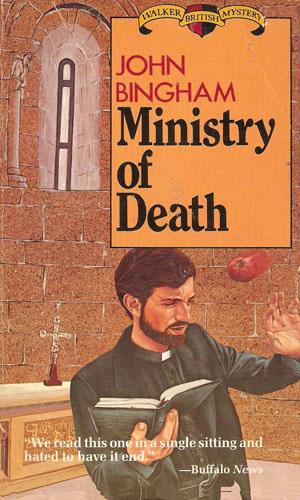 The third book in the series, Ministry of Death, has Kenneth Ducane semi-retired, changing his name, apparently, back to a true name of Kenneth Vandoran and leaving the Ducane moniker for his previous life. Why the change to Ducane had been made in the first place is not really explained. 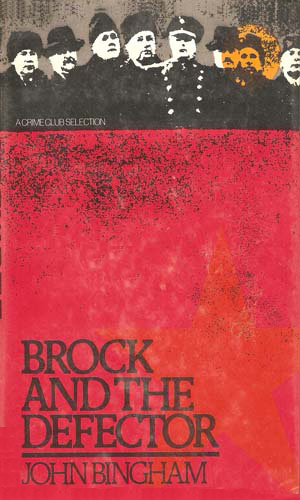 Later, though, in the fourth book mentioned here, Brock and the Defector, he returns using the Ducane identity. This fourth book is really in a mystery series about Inspector Brock but Ducane plays a key role so it is included here. And Ducane is Ducane again, even though the last book was published six years after Ducane's retirement. Ducane suspects a double agent is working in his department. His way of ferreting it out is to create one of his own. But how do you ask a man to willingly get caught and tortured? Ducane asks one of his agents to stand in for a short while on Cyprus while the resident agent goes on vacation. Naturally problems arise, starting with an airplane explosion, killing a Turkish diplomat. Who is behind it, Greeks, Turks, Arabs, or Israelis? When he was a priest, Lawrence Brown heard many things he wished he hadn't but they were safe with him. Now that he gave up the priesthood for the love of a woman, those who confessed are no longer feeling secure. Vandoran/Ducane gets involved despite his desire otherwise. The defector is the Soviet GRU agent Schorin whom Ducane doubted. When a reporter in love with a woman in love with Schorin is killed in the Cotswold, Inspector Brock must hunt the killer and that gets him involved more with spies than he ever wanted. The lone entry on the small screen for the Ducane series came as an adaptation of the first book, shown as a stand-alone piece for ITV Playhouse, an anthology show. An adaptation of the book though more attention is given the character of the suspected mole than Ducane. 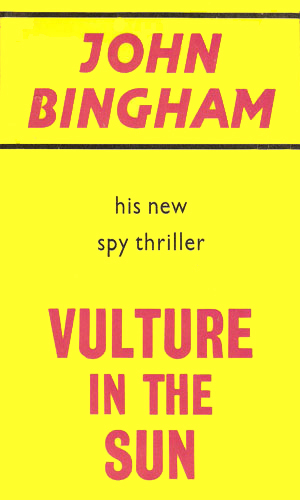 If you have an author who can really write, as John Bingham can, and you find that Bingham was a penname for Lord Clanmorris who was the head of MI-5 for several years, you end up with an authoritative series that is fun to read. The Ducane series is definitely fun and well worth the time. The books speed by and the spy craft is darn good. So good, in fact, that I had to wonder how much of the Ducane character is really autobiographical. Certainly the attitudes of Ducane vis-a-vis his people and their roles had to have come from the author's true life experiences.